Now who doesn't love Olivia Palermo ?! She's beautiful, sophisticated, a trendsetter. Her fashion style is always on point, and I just want to raid her closet! So when I saw her collaboration with Ciaté London, I had to check it out. I couldn't pass this up when I saw it on Sephora.com. This is unfortunately not available anymore BUT no worries, ciaté has other beautiful eye palettes that you can buy! 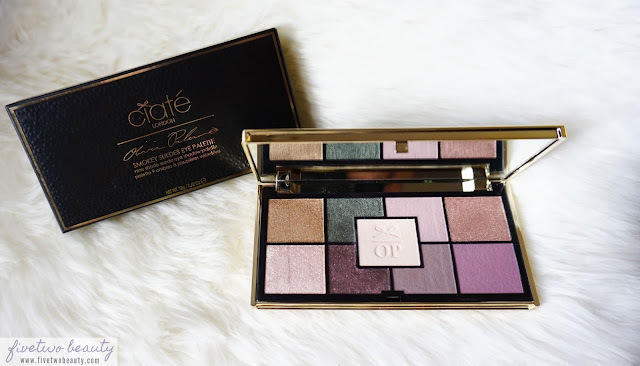 I do hope you keep reading because even though this palette is not available anymore, I will be sharing my thoughts on the texture and quality of these ciaté shadows. From humble beginnings, Charlotte Knight transformed her career path from nail technician to global beauty brand owner by following her passion for colour and endless determination. Ciaté London is PETA Certified and Cruelty Free. In October 2015 Olivia Palermo collaborated with Ciaté London as their Creative Director and launched a beautiful makeup and nail polish collection. The City (a series that followed Whitney Port and her friends in NYC). Palermo interned at Quest. Photographer Patrick McMullan spotted her at an auction, then took pictures of her about town. Palermo began taking part in the charity event circuit in New York, becoming a member of the Friends Committee of New Yorkers For Children and joining the committee of Operation Smile. *this actual palette is not available anymore but you can check the other ciaté palettes on the website! A mirrored compact case with highly blend-able colour with 9 silky suede texture, rich and densely pigmented with a weightless finish eyeshadow shades. 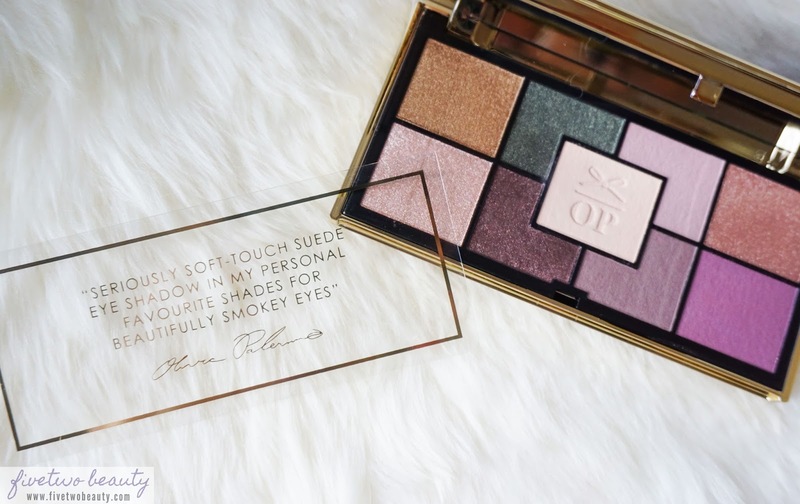 This eye palette was released as part of her Fall 2015 Collection. When I received my package, I was surprised at how small the palette is. As you can see in the photo below it's just a bit longer than a gift card. The eyeshadow pans are as big as a (US)25cents coin, which isn't bad. It comes in this beautiful, very sturdy gold packaging with a textured faux leather on top, and embossed in gold foil is the name of the product. Inside has a nice, decent size mirror that is very helpful when traveling with this palette. I really like the travel size of this palette and the packaging feels very sturdy. I have never tried any Ciaté makeup products before and have never really read any reviews on them. I honestly bought this because it is a collaboration with Olivia Palermo and I would wear all the shades in this palette! Not all at once, but I can find so many different combinations just using this alone. 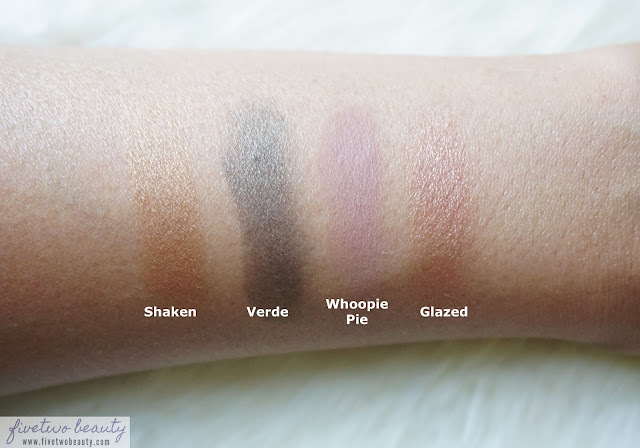 The shadows does have a suede, creamy texture to it that makes it so easy to apply and blend. Unfortunately, the names of the shadows are printed on the box and not on the pan. I suggest use this with an eye primer to make the colors stand out more. I do have to be gentle when I dip my brush on the pans, so the powder residue doesn't mix in with the other shadows. Some of you may not like that this doesn't come with a black shadow when it's called a smokey eye palette. I actually don't mind this since I can just grab a black liner to darken up my outer "V" corners and smoke it out more. Overall, I really like this palette. This is only available on Sephora.com and if you catch it on sale there, I think you get a great bargain for the quality of this product. 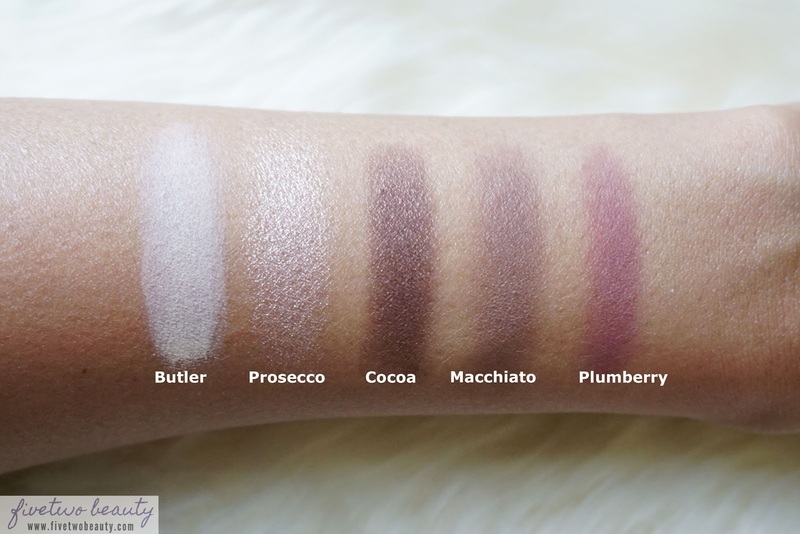 I may grab another one of the ciaté palettes next time I see it on sale. Will you grab one next time?